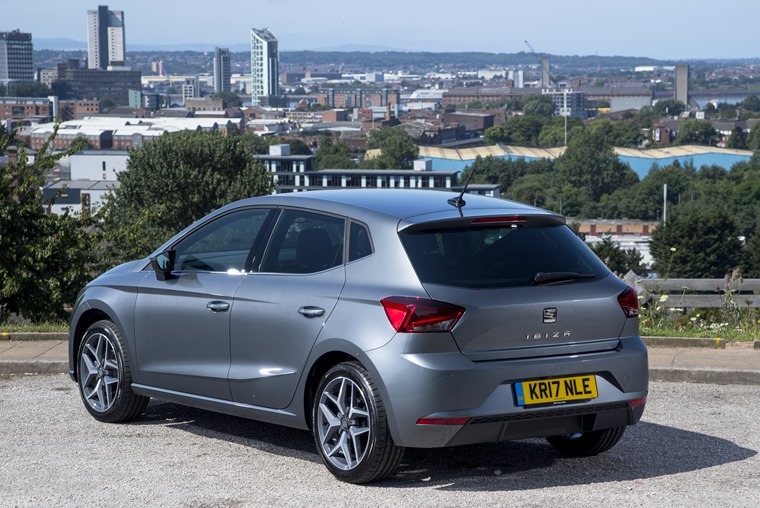 The Seat Ibiza has always been a solid choice, but the fifth-generation model is sharper, edgier, and more complete. One of the finest small hatchbacks on the market. 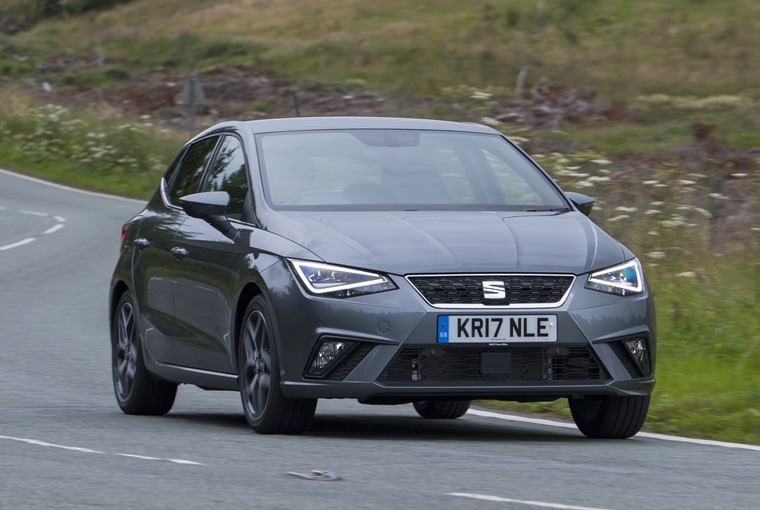 At first glance you may not be entirely convinced that this is the all-new Seat Ibiza. There’s certainly a lot of styling elements carried through from the outgoing fourth-generation model, but this new fifth-gen car feels sharper, edgier, more complete. Park the two side by side and the differences suddenly jump out with the old car looking rather dated, but you’ll have to take my word for that until you spot the two together in a local Waitrose car park. On the flip-side, park it near a Leon and you’ll see the deliberate similarities. 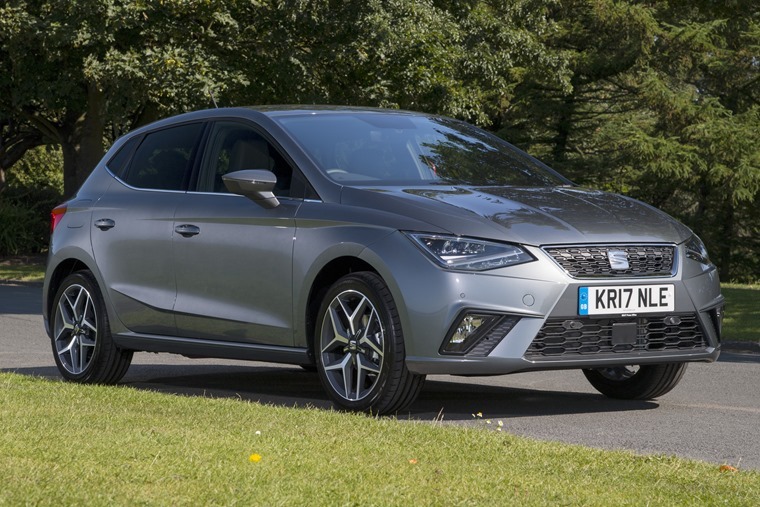 The Leon remains a hugely important car for Seat, and it’s clear to see that the 2017 Ibiza has been ‘Leon-ised’. 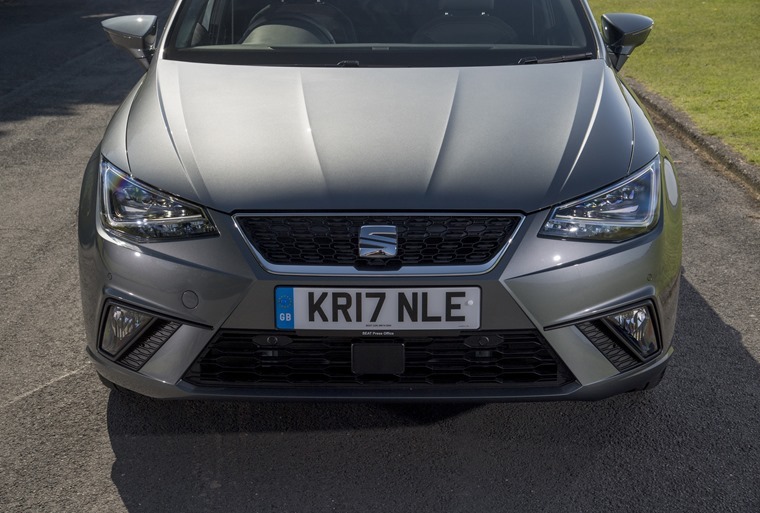 Based on the Volkswagen Group's MQB-A0 platform, the first car in the group to get it, the new Ibiza retains all of the fun-loving driving engagement that the old model possessed but with a new level of grown-up solidity thrown in. There’s certainly some chassis-development-magic happening in Barcelona right now. Powered by a 94bhp 1.0-litre engine, sporty behaviour might not be expected but the 0-62mph time of 10.9 seconds belies how nippy the new motor is, and it’s enough to enjoy some of the finest roads in north Wales. A superbly setup chassis that manages to combine a sporting experience with excellent refinement. The suspension absorbs all but the toughest bumps in the road without allowing them to wobble through the cabin. It’s not stiffly setup, allowing passengers to feel comfortable and relaxed in the cabin, but the way the car handles imperfections suggests it should be - there’s certainly some chassis-development-magic happening in Barcelona right now. Push into a corner and the nose rolls gently before the entire body is supported and the drivers prescribed line is taken around the corner. Press on too far and the front end washes wide as you’d expect, but lift off mid-corner and the nose tucks in nicely, sharpening the turn. There’s no lift-off oversteer to remind you of an old Peugeot 205, just a superbly setup chassis that manages to combine a sporting experience with excellent refinement. Right at the back, there’s a 355-litre boot, which is slightly larger than you would find in a Ford Fiesta. That refinement stops in the cabin, at least in part. While the exterior looks a million dollars, and the driving experience is brilliant, it’s clear to see where money was saved once you step inside. It all feels a bit last gen, with hard plastics that wouldn't look out of place in a van topping the dashboard, and the piano black strip across the width of the car isn’t fooling anybody. That said, the general layout of the cabin is well thought out, if not exciting, with a smattering of Volkswagen buttons and switches dotted around. 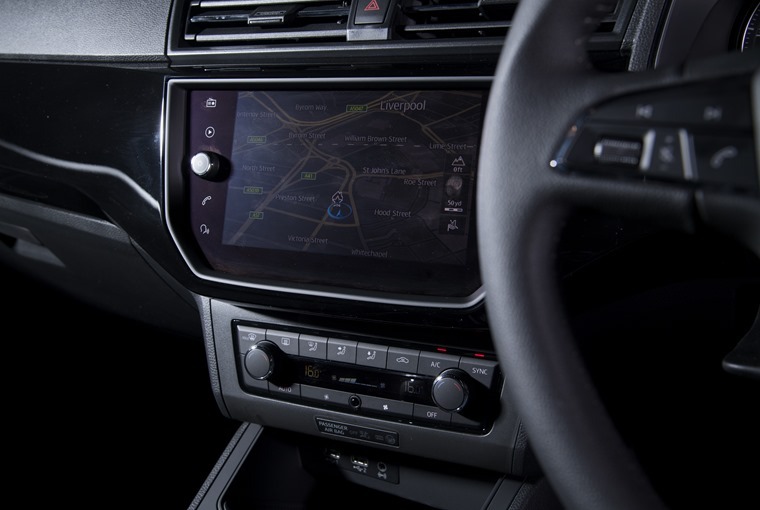 A basic infotainment system sits in the middle of the centre stack, integrated well rather than simply stuck on top like so many rivals. 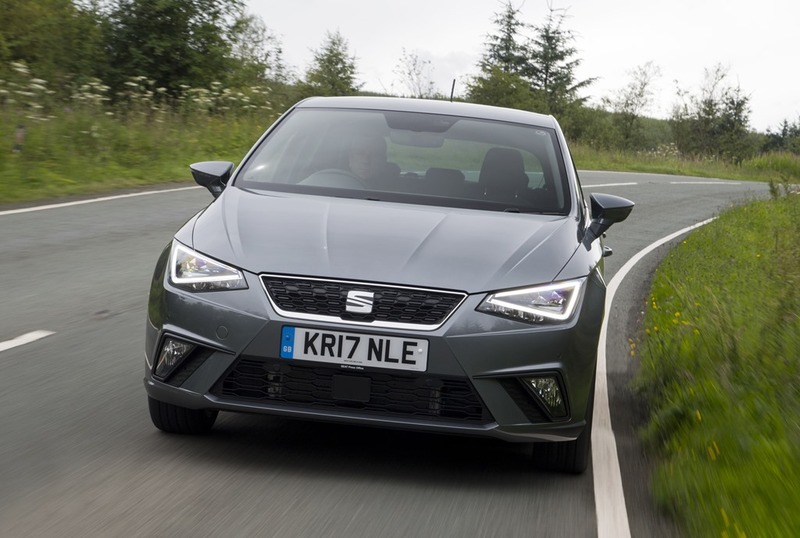 With the new Ibiza only coming in a five-door guise, possibly the final nail in the coffin for the manufacture of three-door vehicles, it’s a practical family car. 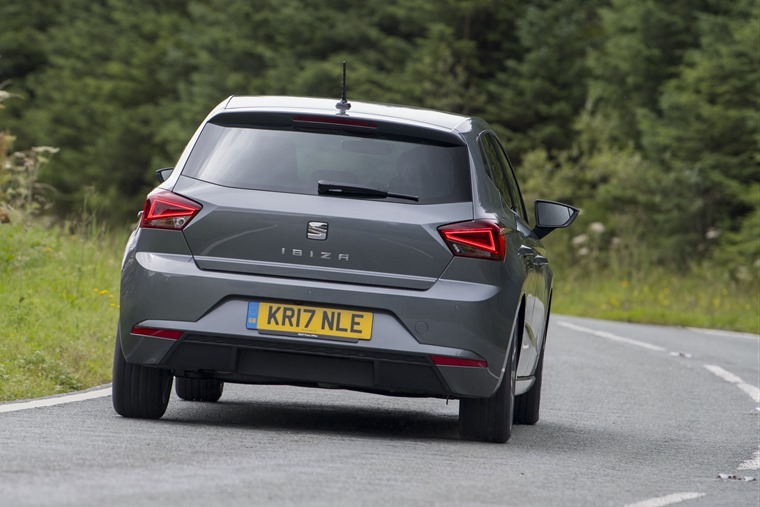 While any supermini will always be a tad compromised in terms of raw space, the rear seats are certainly best suited to kids although adults won’t complain as long as the journey isn’t too long. In the front there’s plenty of room for elbows and heads, although room around the knees for the driver feels a little tight. Big door pockets, cupholders, a phone storage slot, and other cubby holes add to the practical aspects, although some soft lining in the pockets to keep rattles to a minimum would have been nice, especially in this top-spec Xcellence model. Right at the back, there’s a 355-litre boot, which is slightly larger than you would find in a Ford Fiesta. 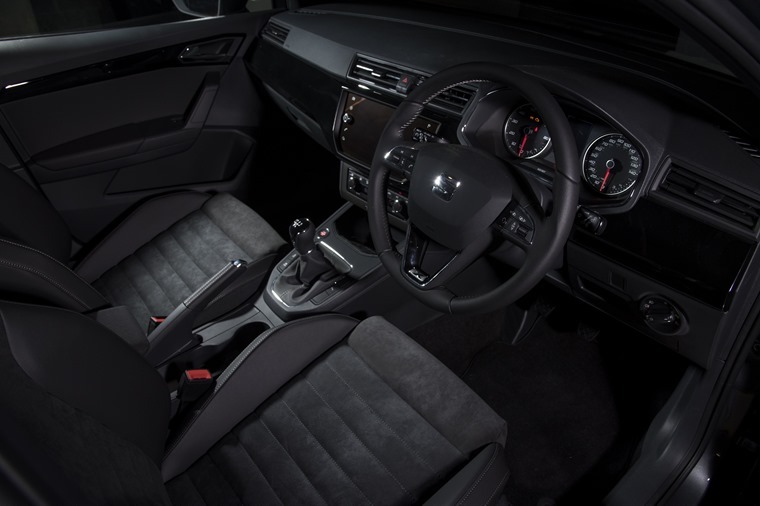 The Xcellence trim means the Ibiza is loaded with kit, including an eight-inch screen that uses Android Auto and Apple CarPlay, DAB radio, satellite navigation and countless other media and information options. This only comes on this model and the sportier looking FR model, with it being an £800 option on every other model. This new fifth-gen car feels sharper, edgier, more complete. There’s also part-Alcantara upholstery, dual-zone climate control and a rear view camera with parking sensors front and rear on this spec, but all models come with Bluetooth connectivity, air conditioning, electric front windows and, importantly, automatic emergency braking that helps the Ibiza achieve a five-star EuroNCAP crash safety rating. Outside of the £17,310 model tested here, there’s the £700 cheaper FR. It might not be a sports model any more (that’s coming next year) but the FR gets an extra 20bhp and some sporty wheels, bumpers and exhaust pipes in exchange for some of the luxury equipment in the Xcellence. SE will likely be a strong seller, coming with everything most buyers would need from just £14,000, while the entry-level S, while still well specced, should probably be avoided unless saving less than £900 is really important. As excellent as the Xcellence is, it’s the SE or FR that will make more sense and should probably be where lessees look first. In doing so they’ll be looking at one of the finest small hatchbacks on the market and something that is good enough to worry the new Fiesta. That’s high praise indeed.